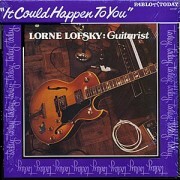 “It Could Happen to You” Lorne Lofsky. Pablo Today 2312-122. This 26 year-old Canadian guitarist was discovered by Oscar Peterson, who produced the album in Toronto. 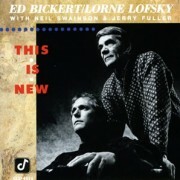 That Lofsky at his age hews to the tradition of unspoiled jazz guitar, without pedals or other extraneous devices, is remarkable in itself. That he chooses to play Bill Evans’ “Blue in Green”, John Coltrane’s “Giant Steps” and Oliver Nelson’s “Stolen Moments” is hardly les noteworthy. Lofsky seduces with quiet good taste and harmonic beauty. The backing by Kieran Overs on bass and Joe Bendzsa on drums is low-key and adequate. Four stars.